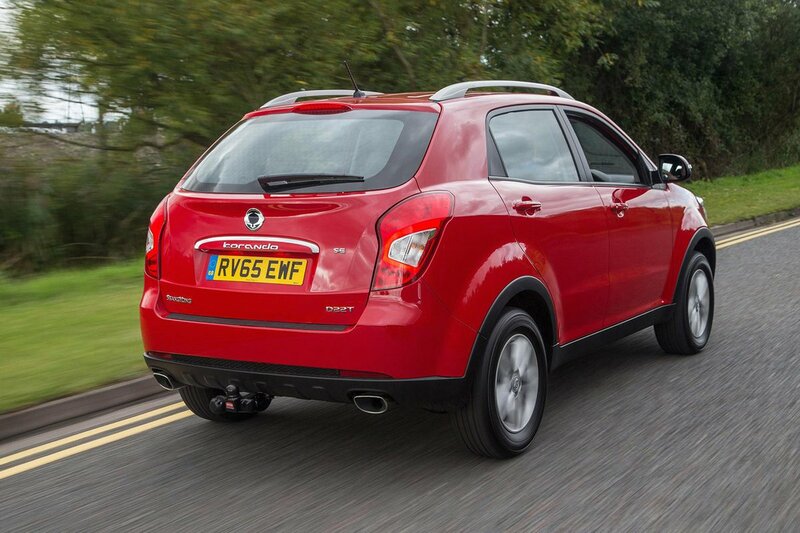 Ssangyong Korando Performance, Engine, Ride, Handling | What Car? 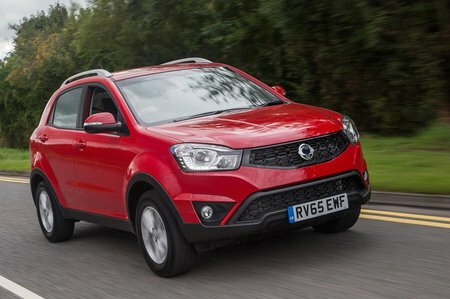 While most of the Korando’s competitors make do with a 2.0-litre diesel engine at best, the Ssangyong boasts a 2.2-litre unit with an impressive 176bhp and 295Ib ft of torque. It’s not desperately fast, thanks to its hefty kerbweight, but it does make for easygoing progress. The engine starts pulling hard from a little over 1500rpm, in some cases too hard as the front-wheel drive models can struggle to put all of the power down - traction can be an issue. It might have plenty of go, but the engine is nowhere near as refined as the best diesel engines in the class. Cold starts and hard acceleration are the worst, but the engine always has a clattery edge with plenty of vibrations being sent through the controls. Not only does the diesel engine sound distinctly old school, the ride and handling feel from a different age, too. Comfort seems to have been the priority so you get plenty of lean in corners, even without trying overly hard. If you do push more, you’ll soon find the front end washing wide much sooner than you’d expect. Not that the vague steering will give much indication of this; there’s little to no feedback from the helm. At least the Korando smoothes out bumps and lumps pretty well, whether you’re travelling at speed or pottering though town. No doubt the ride gets progressively worse the larger the wheels fitted, but it seemed fine on mid-range 17in wheels. We haven’t sampled the automatic, but the manual gearbox is notchy with a long throw.